Oscar Wilde (1854-1900) was born and raised in Dublin, Ireland. Wilde studied at Trinity College in Dublin and at Magdalen College in Oxford, England, before settling down in London and having a long, successful career as a poet, playwright, and author. 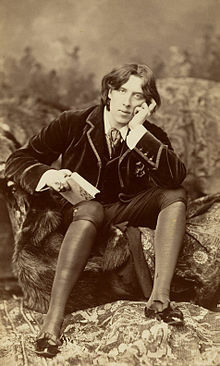 Wilde is best known for his novel The Picture of Dorian Gray and for his satirical play The Importance of Being Earnest. The following is a personality profile of Oscar Wilde based on his work. Oscar Wilde is boisterous, expressive and shrewd. He is laid-back, he appreciates a relaxed pace in life. He is intermittent as well: he has a hard time sticking with difficult tasks for a long period of time. But, Oscar Wilde is also carefree: he does what he wants, disregarding rules and obligations.